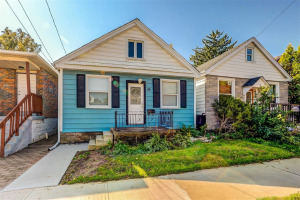 Opportunity Knocks On This Beautiful And Solid Brick Bungalow In Hamilton's Desirable Ainslie Wood Community! Same Owner For 60+ Years! Very Well Maintained! 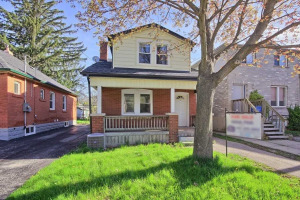 Original Hardwood Floors In Immaculate Condition - Just Uncovered ! Recently Updated Furnace And Roof, New Soffits, Fascia And Eavestroughs And New Large Windows Throughout! 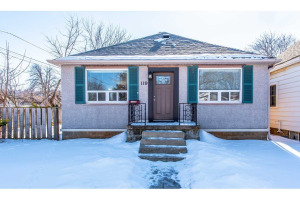 This 3 Bedroom, 2 Washroom Home Is Situated On A Very Quiet And Friendly Street And Features A Separate /Private Entrance, Sunroom. Secluded Backyard With No Rear Neighbours. Perfect For Students Or Families. Walk To Mcmaster University Or St. Mary's Secondary! Minutes To Shops, Fortinos, Restaurants, Hospital, Transit, Go Station, Parks, Downtown, Highways & More!